IPS fabricated a line of panels for a large food processor optimizing one of their cereal manufacturing lines. IPS created six panels that would modernize the processing line and assist in adding a 17% increase in output. These panels featured 1,368 I/O points. Between the 6 panels there were more than 2,000 components used, which are all backed by IPS’ 3-year warranty. Five of the fabricated panels were back panels which were planned to be placed in the existing enclosures. The installation team on the project used the anticipated downtime during the line upgrades activities to schedule the new panel installation. 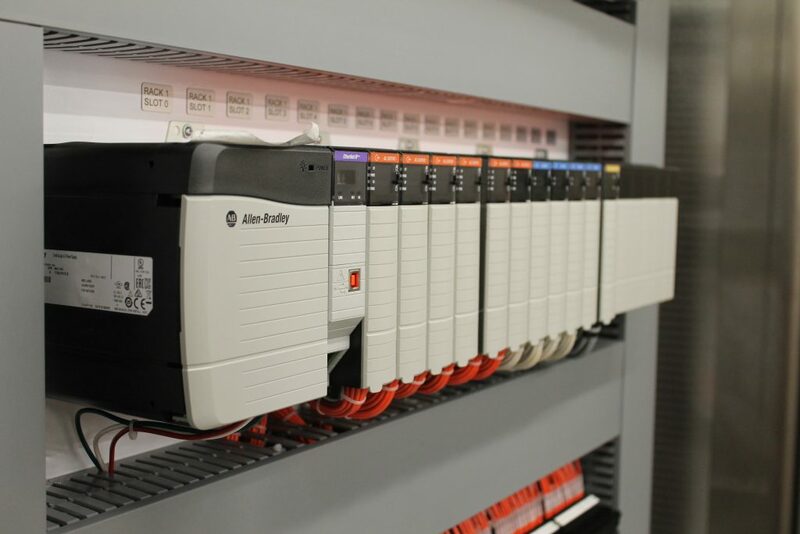 These panels upgraded their PLC5s that were reaching obsolescence with ControlLogix PLCs. Upgrading these panels added to the reliability of the process and added additional processing power to be able to handle future line upgrades. The sixth panel was a custom-designed unit to be installed in a wash down area. This panel used a watershed enclosure that kept electrical components safe through regular sanitation activities. The back-panel layout of the new panels was critical when it came to installation because the existing field wiring was not replaced. Each connection point in the panels needed to be placed to where the existing field wiring was able to reach the connection point without there being too much extra length. In a larger perspective, this project has had many effects on the operational efficiencies for the organization the carried out the project that required these panels. Upgrading this processing line reduced the risk of failures due to old components.